German mezzo-soprano Antje Lohse began her musical training at the Robert-Schumann-Hochschule in Düsseldorf and pursued her graduate studies with Margreet Honig at the Conservatory of Amsterdam, during which time she was also a member of the Nieuwe Opera Academie. In addition to her studies at the conservatory, she refined her skills in song interpretation at the Conservatoire de Metz in France with baritone Udo Reinemann. 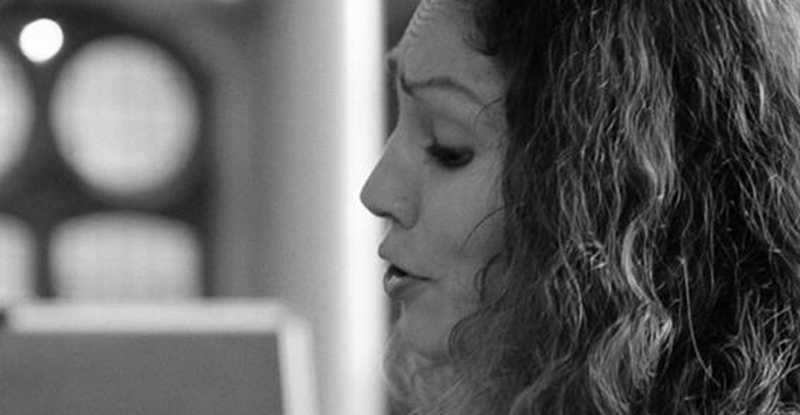 She has participated in masterclasses with renowned artists Sarah Walker, Ann Murray, Elly Ameling, Maarten Koningsberger, Rudolf Jansen, Jard van Nes and worked with vocal coach Peter Harrison. As a vocal soloist she performed with orchestras and ensembles as Orchestra of the East, North Netherlands Symphony Orchestra, the Netherlands Philharmonic Orchestra, ensembles of the Rotterdam Philharmonic Orchestra, AskolSchönberg, Nieuw Ensemble, Nieuw Amsterdams Peil and ensemble LUDWIG. In operatic performances she appeared as Versace in Hôtel de Pékin by Willem Jeths at the Dutch National Touring Opera, as Mazet in Gounod’s La Colombe with Opera Trionfo and she participated in the co-production of Opera South with ICK danstheater, ‘The Sopranos’. Her performances include Dorabella in Mozart’s Così Fan Tutte, Hänsel in Humperdinck’s Hänsel und Gretel, Ernestina in Rossini’s L’ occasione fa il ladro, Volupia in Cavalli’s L’Egisto and Secretary in John Adams’ Nixon in China. She took part in a co-production of Monteverdi’s L’Orfeo with Indian dance company Darpana Performing Company, touring in India. In 2018 she sang in the solo-ensemble ‘Die Sterbenden’ in Henze’s Das Floss der Medusa at the Dutch National Opera and at the Ruhrtriennale in Bochum. Her diverse repertoire ranges from baroque to contemporary music. She frequently performs music of the 20th century and new compositions, including Schönberg’s Pierrot lunaire and Lied der Waldtaube, Berio’s Folksongs, Sequenza III and Sinfonia, Walton’s Façade, Milhaud’s Machines agricoles, Weill’s Frauentanz, Louis Andriessen’s Hadewijch (from the opera De Materie). She regularly is involved in new music theatre productions. She performed in projects of the Diamantfabriek in Amsterdam and Muziektheater Transparant in Antwerp. She presented the Dutch première of Peter Maxwell Davies’ The Medium, a monodrama for mezzosoprano solo, in co-operation with director and producer Miranda Lakerveld, performed at the Theaterfestival in Amsterdam. At festival De Parade she sang the main part in Moulin Rouge – De Parade opera under director Annechien Koerselman. Composers as Guus Janssen, Sander Germanus, Gerard Beljon, Toek Numan and Astrid Kruisselbrink have written music for her. She premiered the opera Pinocchio in love by Guus Janssen/Friso Haverkamp. In 2017 she created together with composer Astrid Kruisselbrink the new music theatre performance Menschen-Worte, co-producer was the Kröller-Müller Museum. With regard to this project Antje Lohse published a collection of poems by artist Hans Arp together with translator Ria van Hengel (Uitgeverij Vleugels). Antje Lohse appeared in such oratorios as Bach’s Matthäus Passion, Johannes Passion, Weihnachtsoratorium and Magnificat, Pergolesi’s Stabat Mater, Vivaldi’s Gloria, Mendelssohn’s Elias and Paulus and Tippett’s A Child of Our Time. She frequently presents song recitals, mainly accompanied by pianist Keiko Shichijo. As an ensemble singer she regularly joins chamber choir Cappella Amsterdam and performed last summer Bach, Kagel and Henze with ChorWerk Ruhr at the Ruhrtriennale in Germany.